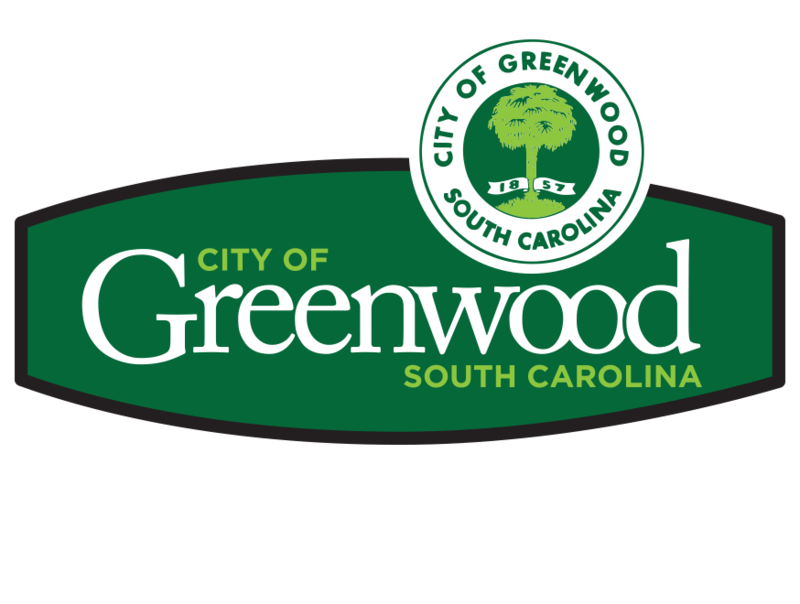 See for Yourself Our One-of-a-Kind "Living" Sculptures in Uptown Greenwood! 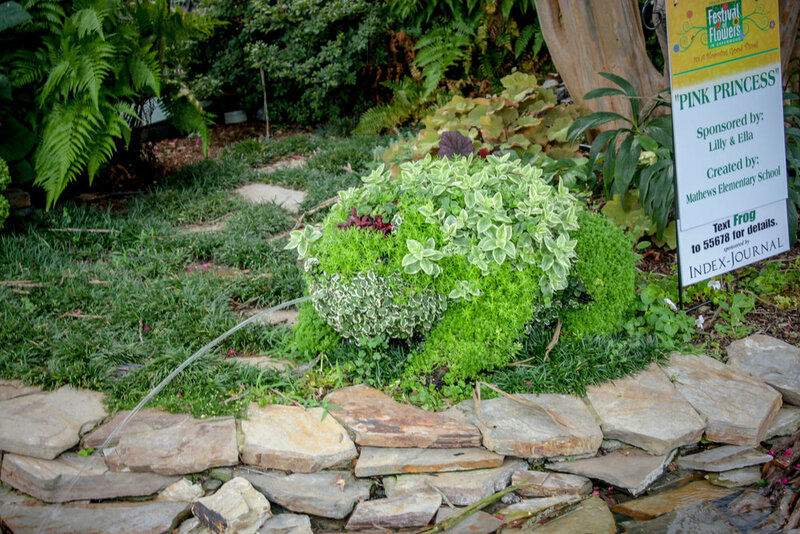 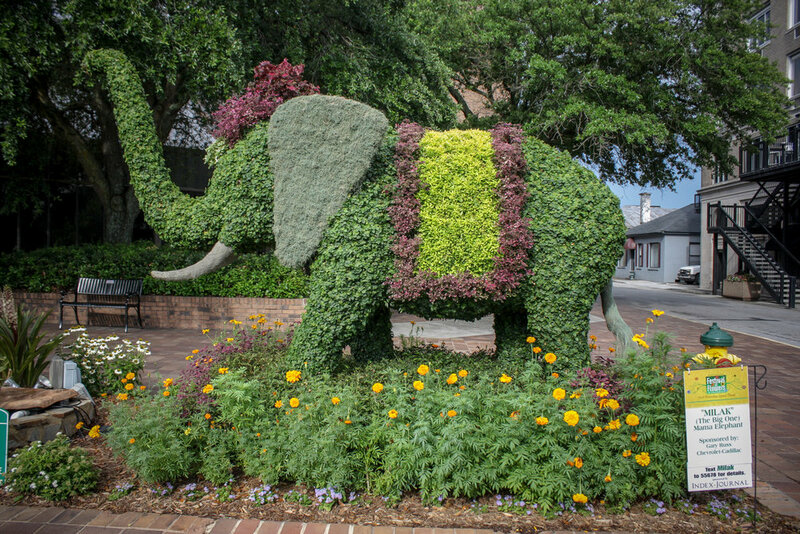 Take a magical topiary tour through Uptown Greenwood. 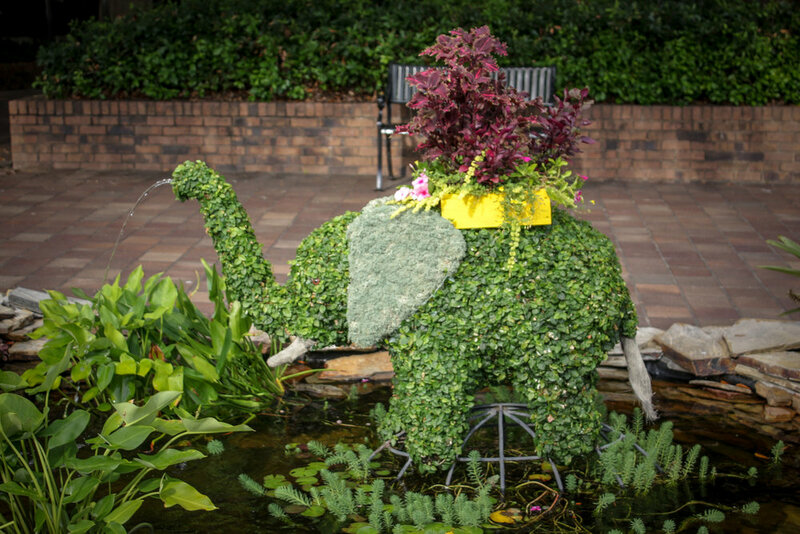 You’ll see 46 topiaries displayed around the Square, at the County Library, and at the Farmers Market. 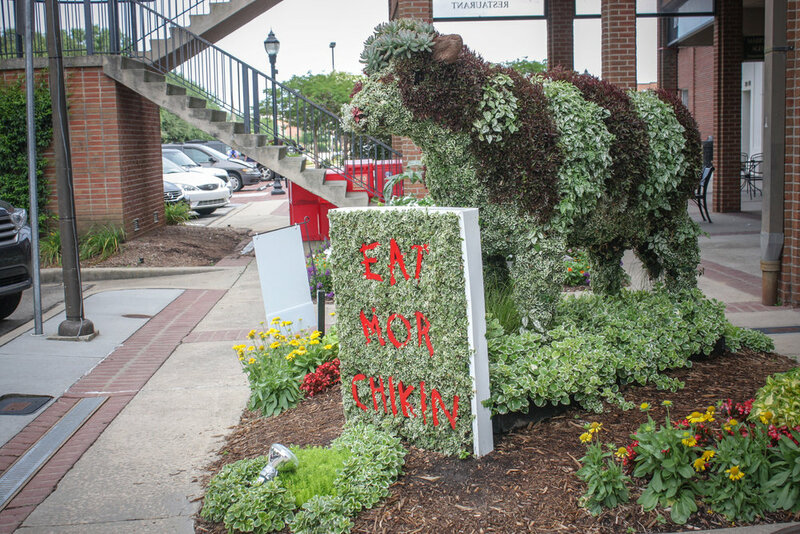 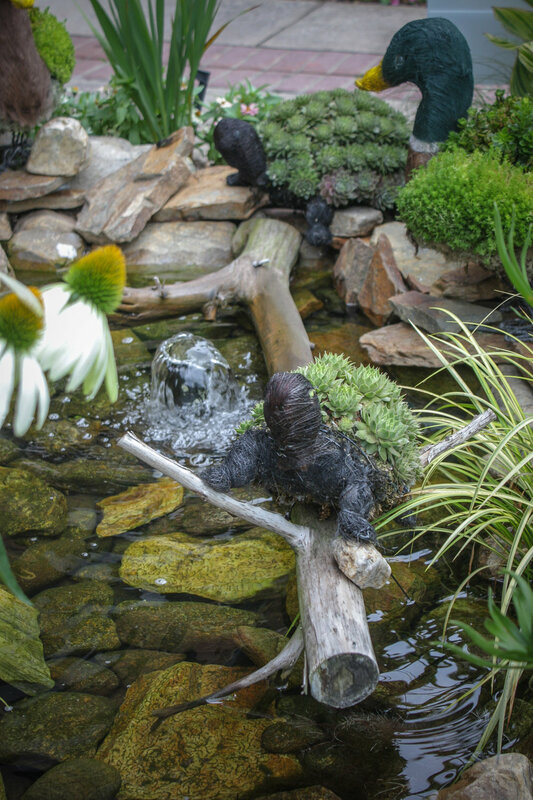 The whimsical horticultural creations showcase the Uptown Greenwood area during the SC Festival of Flowers. 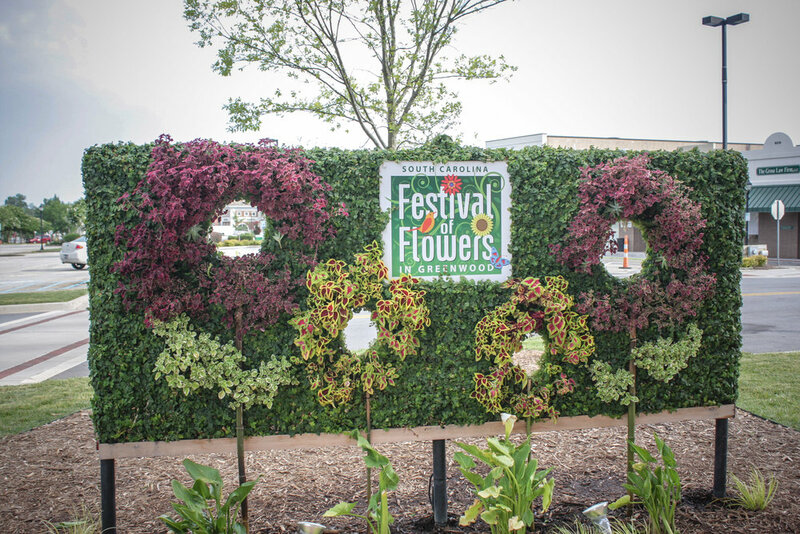 PRINTABLE TOPIARY MAP Coming soon! 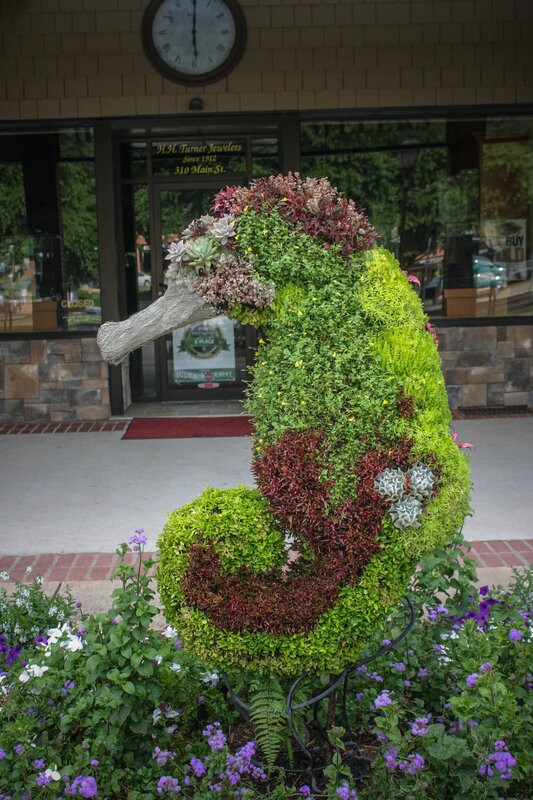 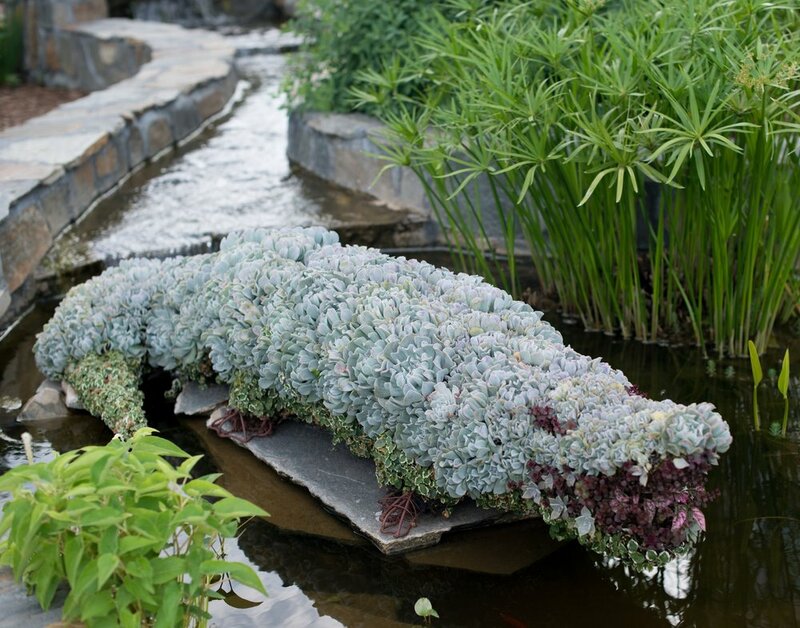 Each topiary has been adopted by an organization and is sponsored by a separate organization. 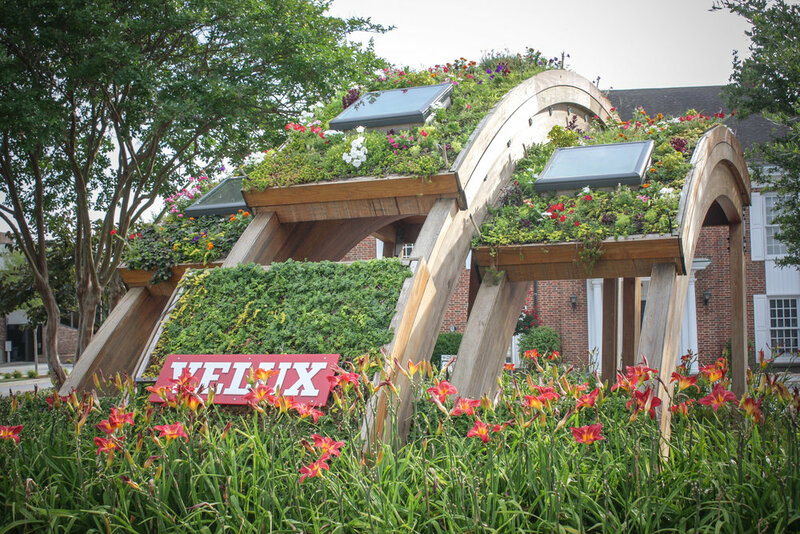 Come see for yourself and stroll our Uptown Square day or night. 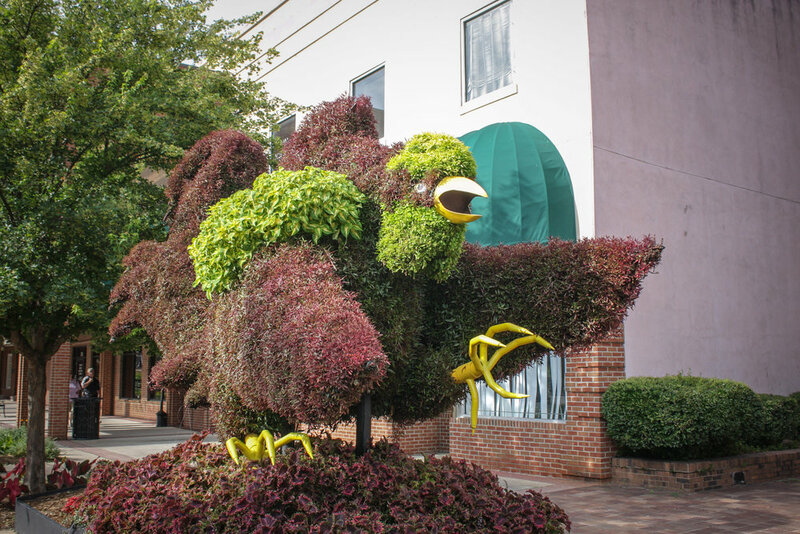 Topiaries, Maintenance and Landscaping provided by: City of Greenwood & City Public Works Department Topiary/ School Coordinators and Delivery: Johnathan Graves, Renea Sprowl, Ann Barklow, Sarah Bradley, Clint Price, Gene Yarochowicz, and Tracy Anderson. 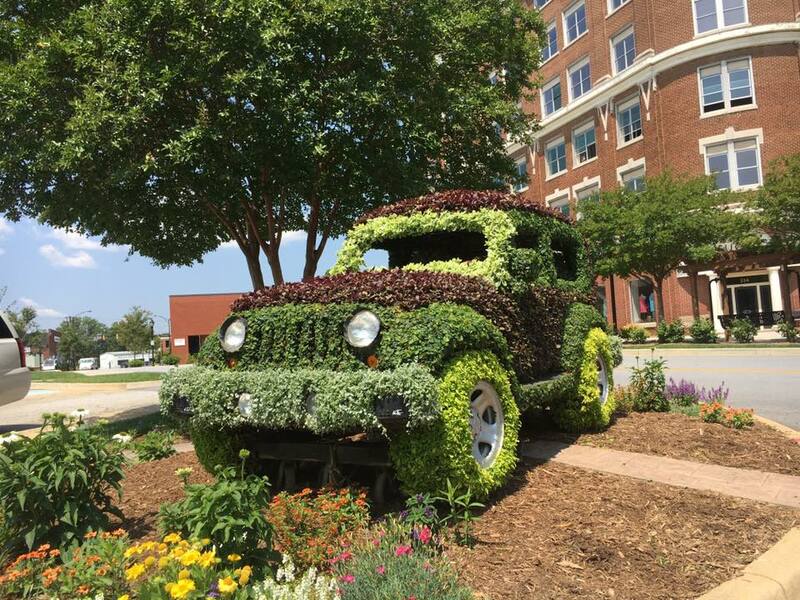 Sponsored by Gary Russ Chevrolet - Cadillac, Inc. 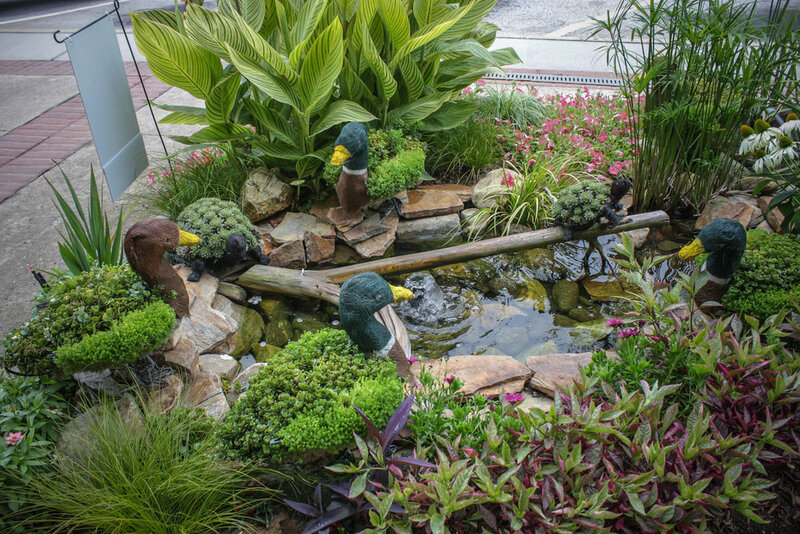 Sponsored by Rush Cooling & Heating, Inc.